"No, the truth is interesting enough. The truth, whatever that is. Fiction is truth, too," I say. "No, I think I'd have to really work to write fiction or even partially veiled truth. I'm curious about the truth." The truth is complicated. To tell the truth is, ah, complicated. It is dimensional. There are infinite truths happening simultaneously. I suppose this is why editors are helpful. One of favorite truth tellers (or should I call him an observer?) is photographer, Richard Misrach. My photography mentor introduced me to Richard's (no, I don't know him, but that is his name) work in college. His out-of-print book, Bravo 20: The Bombing of the American West, was an early influence. The light, the magnificent light, clarity, beauty, strangeness, and terror. Though I made exclusively black and white images at the time, I took in his color landscapes. In this set of sign images, I nod to Richard. See my three so-so images of signs used for target practice. The photograph of the entire sign is a "telling not showing" photograph. A throwaway. I was in a rush at the site, didn't think it could make a good image of it, and yet I want to include it here because the sign's message is... It just is. 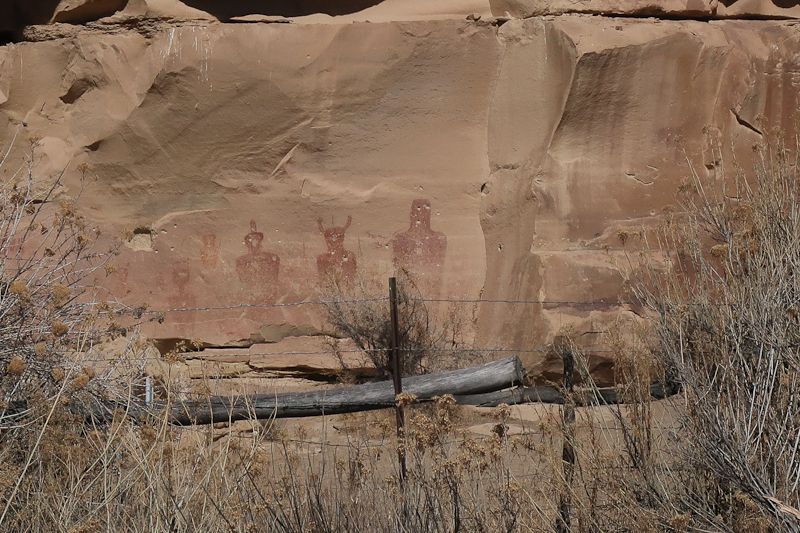 The rock art is also "showing". Just road trip snapshots. I wuz here. It was deep to be there, and I want to remember what I saw. The last four photographs, that is me. That is my truth. Strange outposts, lonely, beautiful, unsettled. Black-as-night tires in the desert. Skinny fences.